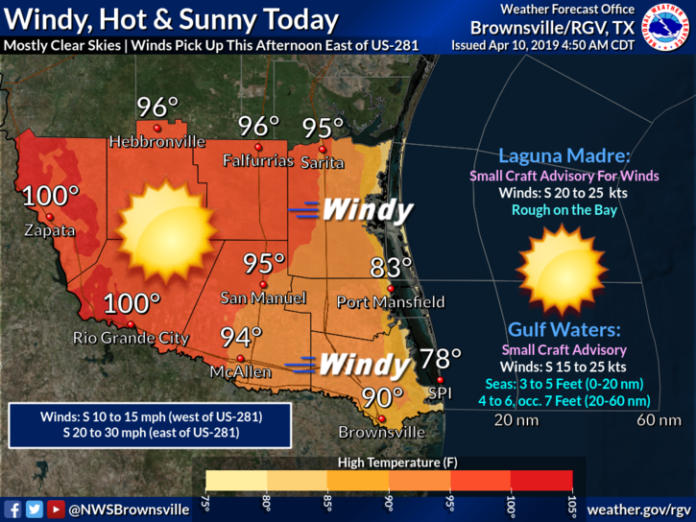 Wednesday will be hot with mostly clear skies in the Rio Grande Valley, according to the National Weather Service in Brownsville. Expect the wind to pick up by the afternoon, especially east of Highway 281. Also, temperatures in some ares may hit 100 degrees. Rio Grande City is expected to be 100. McAllen and Brownsville will be 94 and 90, respectively. South Padre Island will only be 78. A mostly sunny, dry and warm conditions are expected Thursday, which will see highs range between 92 and 96 degrees. Friday will see slightly cooler temperatures with temps in the upper 80s and low 90s. 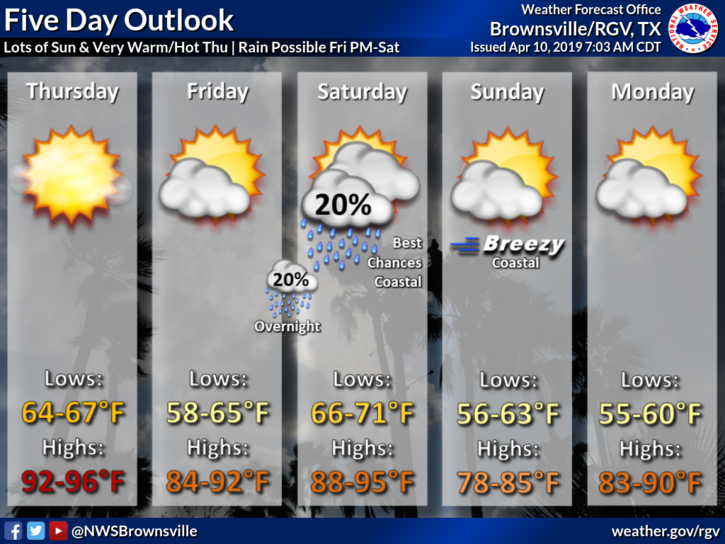 The next best chance of rain will be Friday afternoon and/or evening into Saturday as another weak cold front approaches the area. It is only a 20 percent chance for rain.